There are many advantages to staying at place which is as much as culture enriched as Kolkata. The Marathi theatre culture is quite enriched, and plays like Ghasiram Kotwal never cease to impress me. With theatre Marathi cinema is extremely evolved as well. First time I tried to watch a Marathi cinema was back in 2009 Harishchandrachi Factory, and it completely captivated me. In recent times, I can’t think of another film that stayed with me as Killa has. 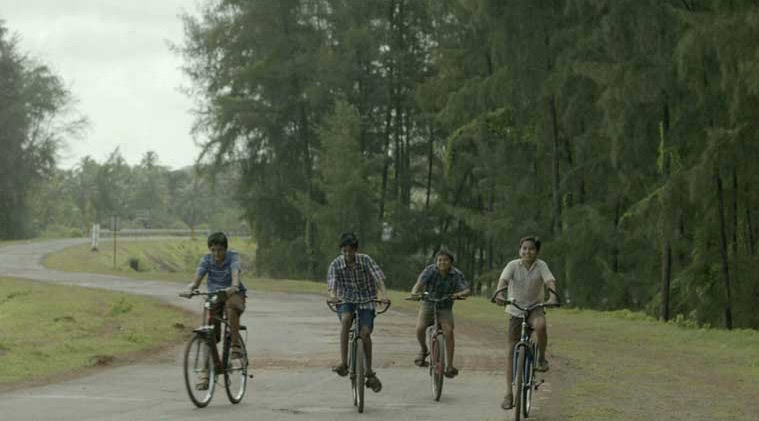 A film by debutant Avinash Arun tells the simple coming-of-age story of an 11-year-old boy in rural Maharashtra, attempting to make sense of a world that makes very little sense. There’s such emotional truth to his experiences and his journey that it’ll feel real and familiar even to those raised in very different circumstances. Chinmay (Archit Devadhar) has moved with his mother (Amruta Subhash) from Pune to a small coastal town in the Konkan region where she has been transferred in her government job. Chinmay, who lost his father the previous year, is a well-behaved, sensitive boy, but he’s overcome with feelings of isolation as he struggles to adjust to his new surroundings. He’s a smart student, but the new school appears to be populated with unruly local kids with whom he has little in common. I consider myself quite lucky to have lived in a semi-rural place like Ambarnath. Even if you’ve never lived outside of a big city, most of us at some point or the other in our lives have known what it’s like to walk into a (class)room and feel like an outsider. To feel like you don’t belong. Based on the director’s own experiences growing up, Killa evokes an authentic sense of displacement and ‘not-fitting-in’. 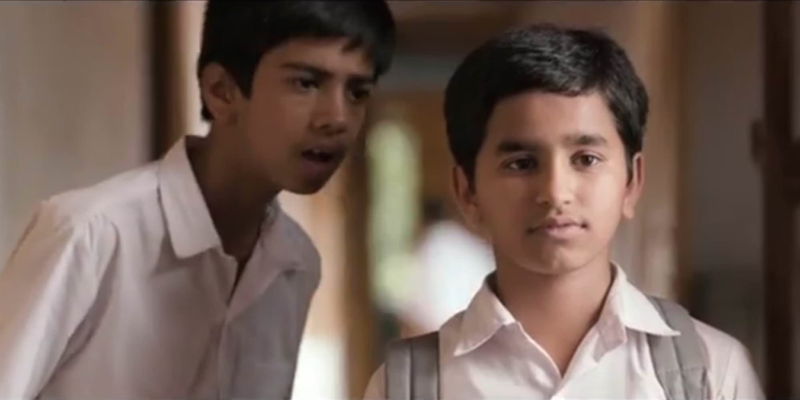 Chinmay acts out by repeatedly confronting his mother, dismissing her cooking, and by being rude to the neighbors. She for her part, is dealing with her own problems at work, but tends to internalize her feelings. Your heart goes out to the pair as they negotiate their new life. While watching the film, I could relate with my personal experiences immensely. In my school, I have been have to change five schools, and the feeling of not-fitting-in is always there. When Chinmay makes friends with a group of boys in his class, we see his surroundings with a new set of eyes. Arun, who is also the cinematographer of the film, shoots in the monsoons, giving us lush green landscapes and swelling seas. The blues and greys of the monsoon drenches the screen, the high ocean waves dashing against the walls of the old fort (‘killa’). I could just drink in this film. The film benefits from a strong sense of place and time. Arun paints a vivid portrait of childhood in coastal village-towns: cycle races along the Ghats, a trip to a nearby fort, an afternoon catching crabs on the beach and selling them later with high spirits t the local market. There’s a distinctly melancholic feel and pace to Killa, which is appropriate given the themes that the film explores. Arun exercises remarkable restraint in telling this delicate story, and he’s aided by his excellent cast. Archit Devadhar, who’s never faced a camera before, wins us over. He is a complete revelation as the impressionable protagonist; his expressions reveal maturity far greater than his years. Amruta Subhash conveys both strength and heartbreak through a nicely understated performance; she’s riveting on screen. But the scene-stealer in Killa is the pint-sized Parth Bhalerao, playing Chinmay’s friend and puppy-torturing local scamp ‘Bandya’. Killa is as much a story of friendship, trust, forgiveness and grief. It makes some nice observations about childhood and the bond between a single parent and a child. You’ll come out feeling a tinge of sadness, but also fully satisfied with how things turn out for our little hero. In that respect, Umesh Kulkarni’s ‘Vihir’ and Vikramaditya Motwane’s ‘Udaan’ had a little more sharpness and growing-pain in their coming-of-age narratives. But for all that, ‘Killa’ will stay with me, for its spectacular setting, and for its boy. I’m going with a full 5 out of 5 for Avinash Arun’s deeply moving film Killa. If there is such a thing as a perfect film, my vote goes to this one. Don’t miss it. At any cost. Killa will stay with me, for its spectacular setting, and for its boy. Published on July 13, 2015. Updated on April 18, 2016.